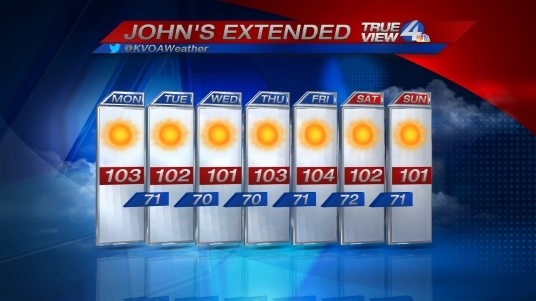 When I saw the TV weather report for this week I thought of a slot machine with those 7 suns all lined up. Yep, we're firmly in the triple digits now. Remember to put the barbecue mitts in the car so you don't burn yourself on the steering wheel! Hello, Tucson summer. Barbecue mitts? In the car? I really have no idea do I? Can't wait to embrace the heat when I visit in July. Hi Kathy, In July you'll get to experience our monsoons - spectacular storms!